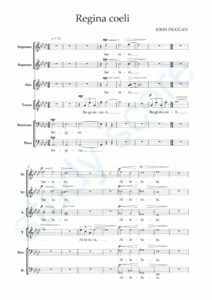 I first heard John Duggan’s music at ACDA 2011, when the Denver-based ensemble Kantorei gave a stunning performance of Futility – a setting of the poem by Wilfred Owen. I was so moved by the piece that I brought it to the UNF Chamber Singers, and we gave several performances in Florida and on our May South Africa tour. 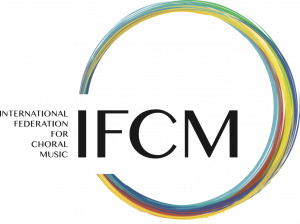 Such was the audience feedback from those performances that I felt compelled to introduce John officially to the IFCM community as a new voice in choral music. Here are some extracts from our email conversation. Cara Tasher: Your ability to go ‘deep into it’ both textually and musically suggests that you may have a strong personal relationship to death. Can you talk about this a little? 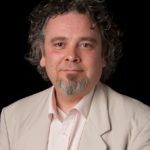 John Duggan: I’m not sure what a strong personal relationship with death means exactly, but I certainly think about death every day. Music has the ability to affirm deep emotion and mystery. It doesn’t necessarily offer any answers but, like poetry, it gives us a language to validate sorrow, joy, faith and doubt. I’m drawn to texts that touch on these themes. I began writing choral music shortly after the death of my mother. Her death made me realize how little time we have to live our lives. CT Based on their performance of Futility, my singers were curious which specific part of the poem Futility provoked you to set it. JD I had wanted to set one of Owen’s poems for some time when the opportunity arose to write for the 2007 Commotio disc, Night. Owen encapsulates that incomprehension we feel in the presence of death. I was inspired by the onomatopoeia (gently, whispering), and the skill and artifice of the half-rhymes (once/France, tall/toil) coupled with the raw emotional punch in the final lines, which move swiftly from disbelief to despair. The first stanza was relatively straightforward to set. I felt that the opening tenor phrase captured the poet’s voice, which passes between the tenor, the cello, and the chorus. But I struggled with the second stanza: I had the ideas, but didn’t know how to join them up. CT There is a mystic quality and exoticism in your work sometimes displayed by placing no 3rd in the chord, mixing modes, using parallel fifths, chant, etc. You combine the solemnity of Duruflé, the starkness of Pärt with the warmth of Whitacre while never forgetting the masters. That may be absolutely off. Please describe your approach to composition. JD The way I write varies greatly. 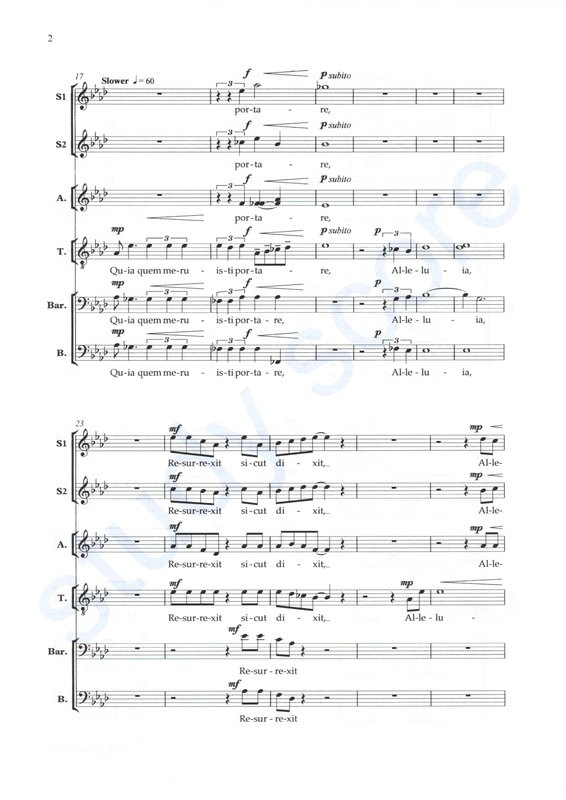 With choral music I tend to start with the text. It may be that particular phrases or lines move me and I build audio sketches by singing parts into the computer. At this stage I won’t be thinking much about structure as I focus on an emotional and musical response to the words. These ideas are improvised and layered on top of one another, often leading to unexpected results. I transfer some of these sketches into a musical score, which allows me to consider structure, voicings and color. It’s a way to move from the giddy freedom of improvisation towards a formal architecture. I use the keyboard, too, which gives a more vertical perspective – the composer, Francis Pott, says that the tension and resolution between the vertical and horizontal is a cornerstone of composition. I’m also inspired by John Cage’s idea that composition is an exploration of the relationship between sounds – particularly relevant in my electronic compositions. Technology allows so many possibilities – both a gift and a trap. CT Who are your influences? Do you have any favorite composers? CT Do you feel an overarching responsibility for the future of choral music when you’re composing? JD Not really, but I do feel part of an ongoing tradition, and hope I’m adding something worthy to that. When I was at ACDA in Chicago in 2011, I was bowled over by the enthusiasm in the US for choral music. The traditions are different to those in the UK, but equally compelling. The opportunity to learn from this is one of the reasons that my vocation as a composer is so exciting. JD Composition is like working on a puzzle. Most progress comes through hard graft – Edison’s 99 per cent perspiration. Inspiration often comes unbidden, when I’m not thinking consciously about my work. These moments feel like gifts, like visitations from a muse. They often involve a coming together of seemingly irreconcilable or opposing ideas. I sometimes take ideas from other composers, too, and incorporate them into my work. I set a text by Ivor Gurney recently, and built much of the piece over a composition by Purcell. 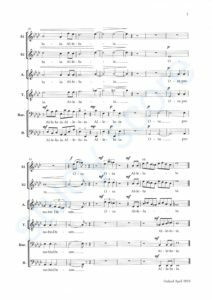 When I removed the underlying Purcell template I was pleased to note that my music seemed able to stand on its own two feet. There is an element of fun in this too – quoting the work of other composers and seeing if anyone notices. CT How many commissions do you take a year? What is your ideal commission situation? What is your dream work to compose, or what is next in your docket? JD I write about a dozen pieces each year, half of them commissions. The rest are competition pieces or things that I write because I want to or am compelled to. At the moment I’m working on two new pieces. 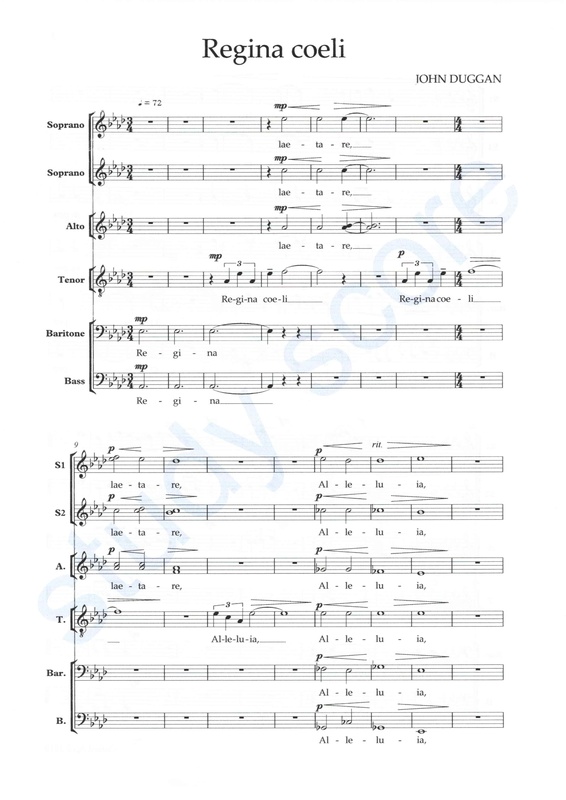 One is a setting of the Wilfred Owen poem, Dulce et Decorum est, for choir and percussion. The other is an Advent carol for Choros, a local choir. 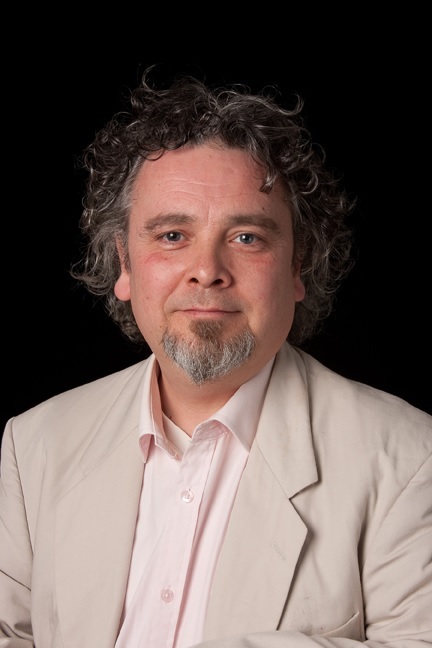 Recently, I’ve taken up a post as the Creative Arts Fellow at Wolfson College, Oxford. The college is incredibly supportive of the arts, with a fantastic piano trio – The Fournier Trio – as artists-in-residence. I’m writing a piece for them, which is my first foray into chamber music. I’ll also be working on some soundscapes, using samples of everyday life in the college. I want college members to contribute towards an audio snapshot of the place and its inhabitants using the spoken voice, singing, and any instruments and found objects that come to hand. Over the last few years I’ve created several pieces for dancers, and I have some ideas for a collaboration with Crossover, a community intergenerational group who are a wonderfully talented group of dancers. Next year, I’ll be working on a major new piece for my choir, Sospiri. The choir has commissioned new music from ten composers using World War I texts – to be recorded next summer and released for the centenary of the outbreak of war in 1914. JD I wrote this early in 2010. 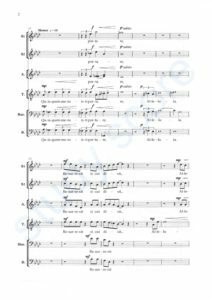 Sospiri had recently recorded the plainsong Regina Coeli – a beautiful, simple Marian hymn sung during Eastertide. I decided to write a polyphonic version that captured something of the timeless beauty of the chant. I wrote it in a single sitting, using a kind of call-and-response structure, which echoes the chant. 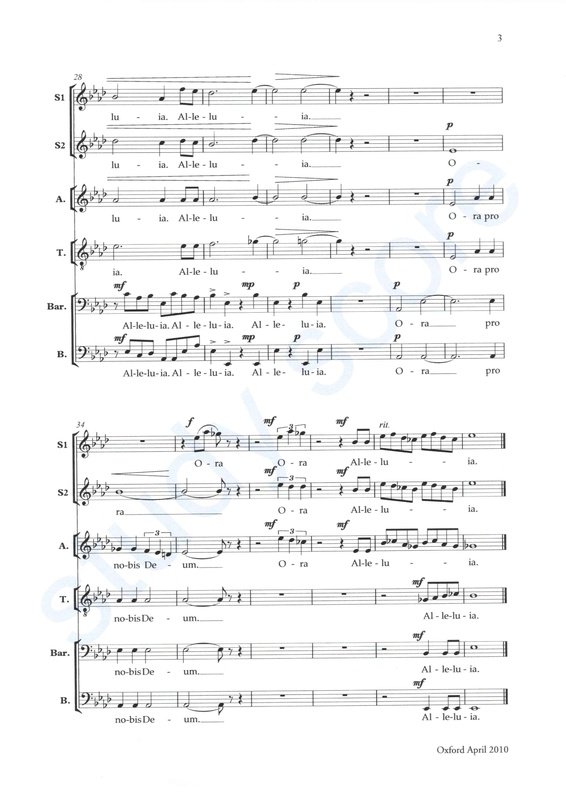 I envisaged it being performed in my choral home, Westminster Cathedral, which has a wonderful, generous acoustic; hence the dynamic ebb and flow and the pauses between phrases.